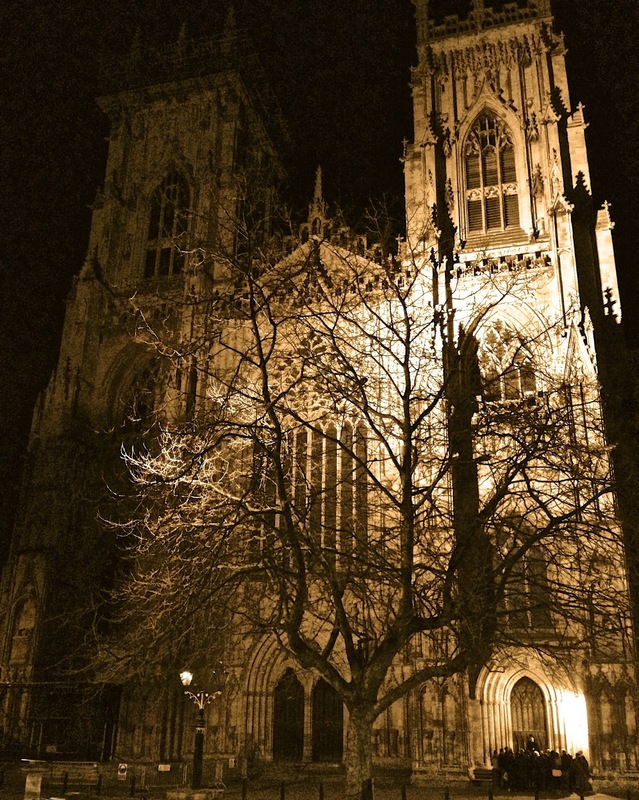 Does a ghostly dog bark within the York Minster? During our visit to York last spring, I ventured into the crypts below the Minster. It was just before closing time, and I wanted to speed through an historical exhibit while Kate took Jackson outside to play. At one point, I heard the sound of a barking dog. The sound was neither near nor far; it came from some middle distance, but was not particularly distinct. I exchanged glances with a man touring the exhibit with his family. It was an odd sound, but we both shrugged. Probably just a dog that somehow had gotten into the cathedral above. A story about the building of York Minster recounts a stonemason who worked at the site with his dog. master did not find him. To this day the dog howls for his master, who never comes. As I left the Minster a little while later, I asked a guard at the desk about hearing a dog. He gave me an odd look but didn't respond. I'm not saying I believe the ghost dog story, but . . .